← New Color Added to Color-Coded Line from Nelson-Jameson, Inc.
Nelson-Jameson is expanding their line of FDA approved squeegees with the introduction of new flexible Double-Blade Ultra Hygiene Squeegees. Specially-blended rubber blades are designed to harbor less bacteria than standard foam blades, achieving a higher level of sanitation. The replaceable blade cassette eliminates the need to discard the entire squeegee when blades wear out. 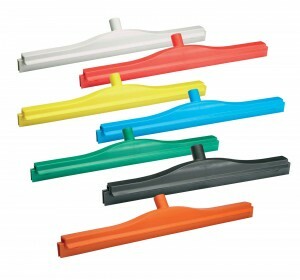 The squeegees can be used with any Euro-thread handle, which is sold separately. 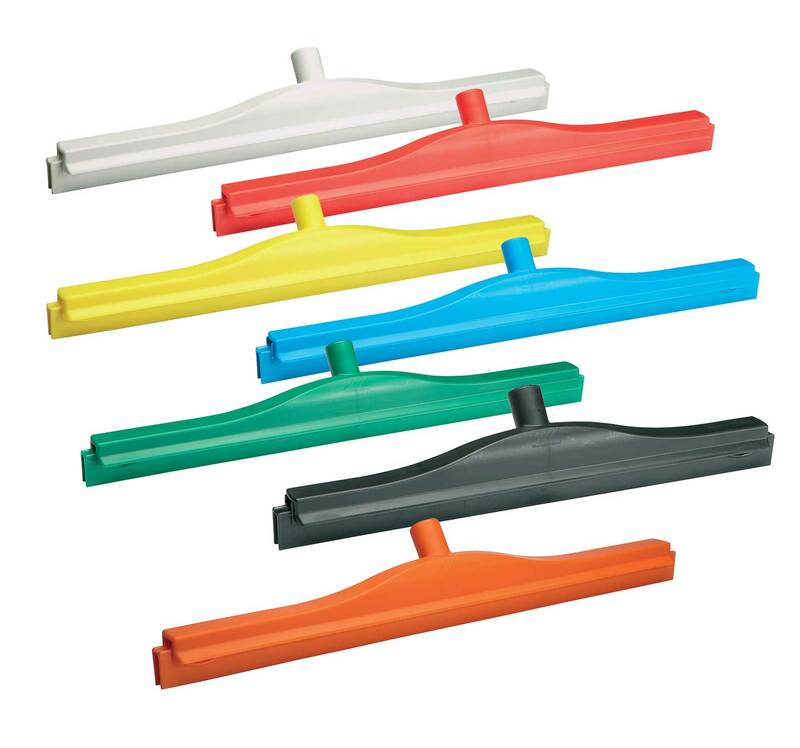 Bench squeegees for tabletop applications are also available in a variety of sizes and colors, including our most recent addition- orange. For more information on these products, please contact Dakonya Freis, Janitorial & Maintenance Product Manager at 800-826-8302. Nelson-Jameson, Inc. has been an integrated supplier for the food industry since 1947. Product lines include safety & personnel, production & material handling, sanitation & janitorial, processing & flow control, laboratory & QA/QC, bulk packaging and ingredients. The company is headquartered in Marshfield, Wisconsin, with other locations in Turlock, California and Twin Falls, Idaho. For more information visit, www.nelsonjameson.com. This entry was posted in Press Room, Production & Material Handling, Sanitation & Janitorial. Bookmark the permalink. Follow any comments here with the RSS feed for this post. Post a comment or leave a trackback: Trackback URL.